Notes ~ Book Three ~ Still need a title. New~ Eilam's Harlequin ~urban fantasy ~ coming soon. May your pumpkin pie be covered in cool whip and your apple pie too. There's something wicked brewing in the world~ Women in Horror Annual! Support women that write horror by going over and saying Hello at WHA. 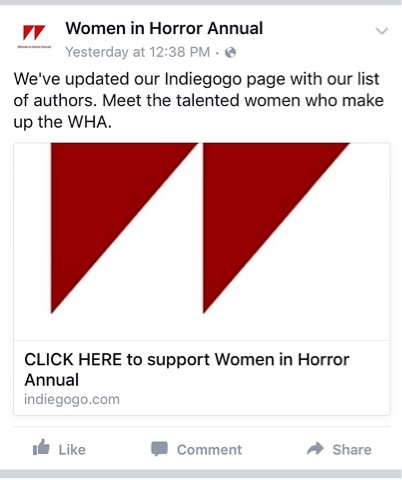 Like the page, share the page, and become part of Women in Horror Annual on Facebook WH Annual. What~ is that my name!